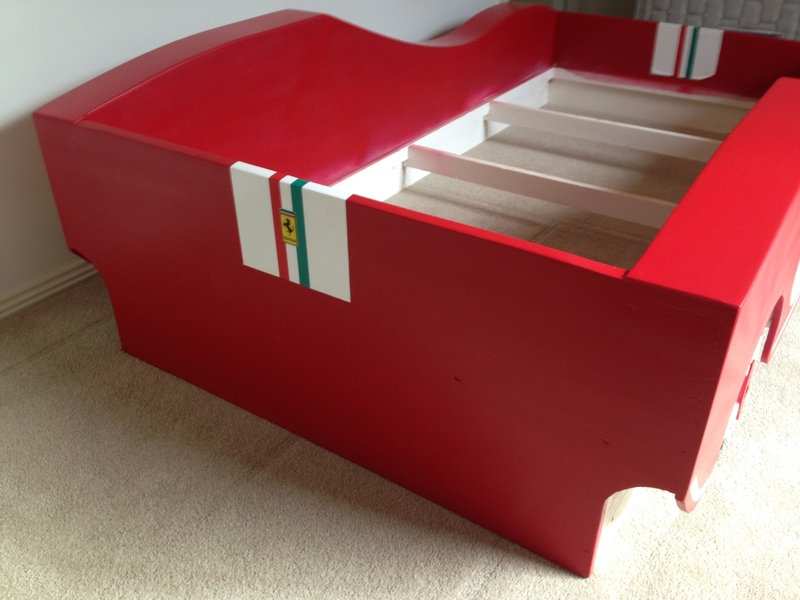 This is a project that I did a while back but never got around to posting. 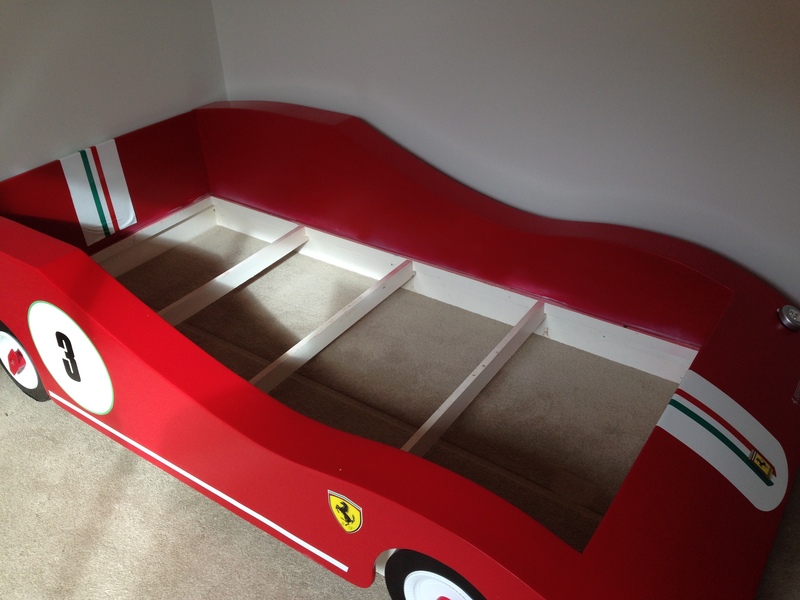 When we moved into our new house, my 3 year old son needed a new bed. 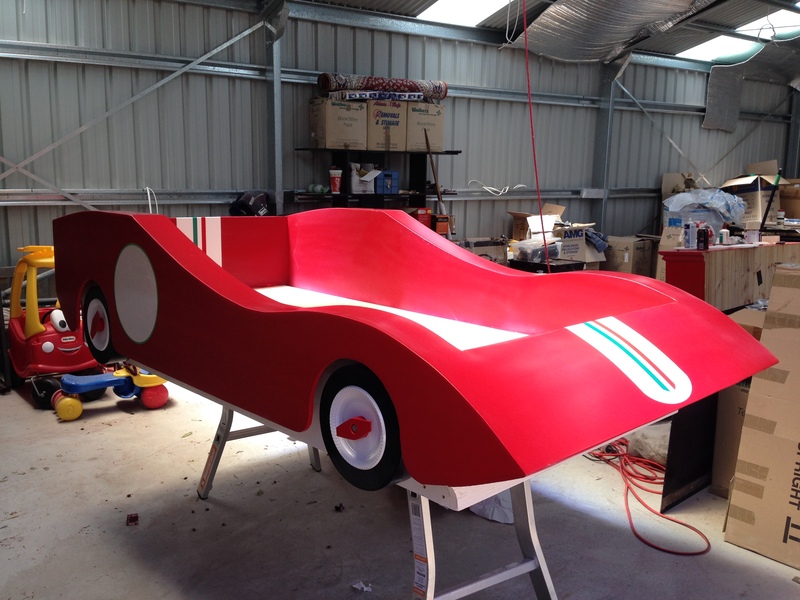 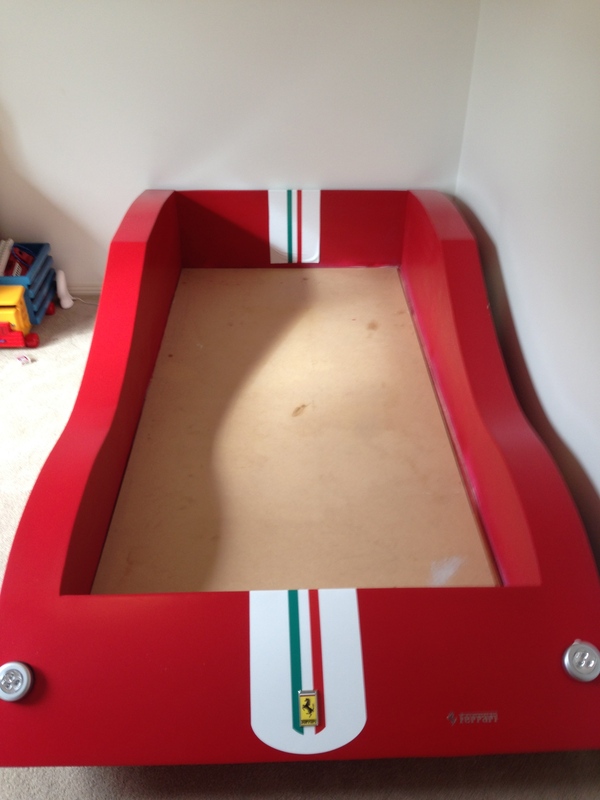 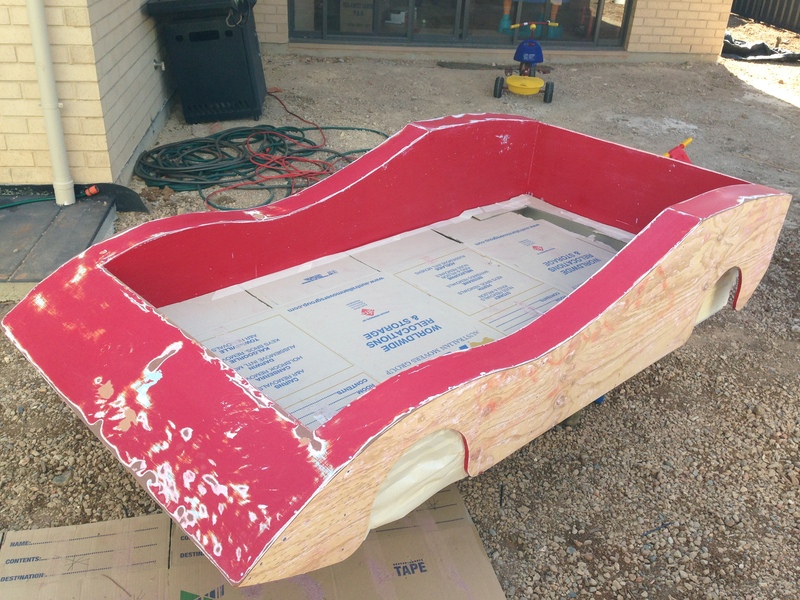 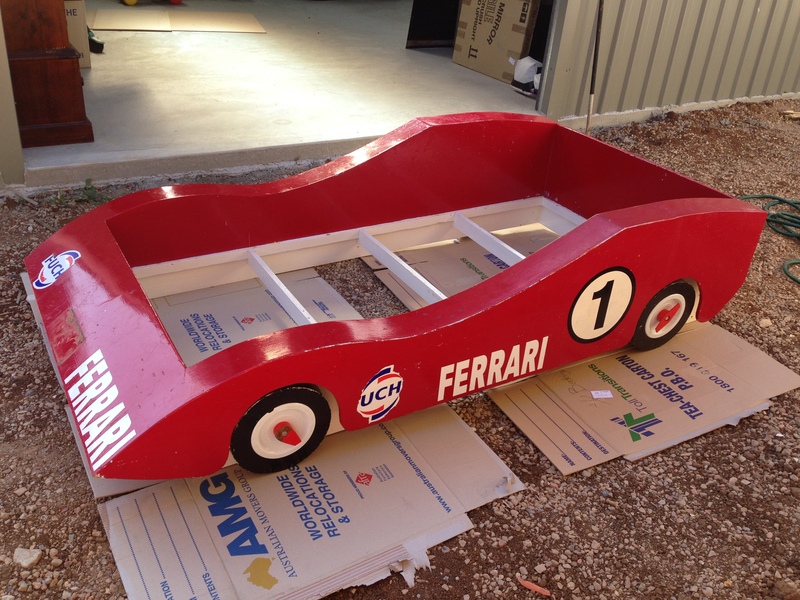 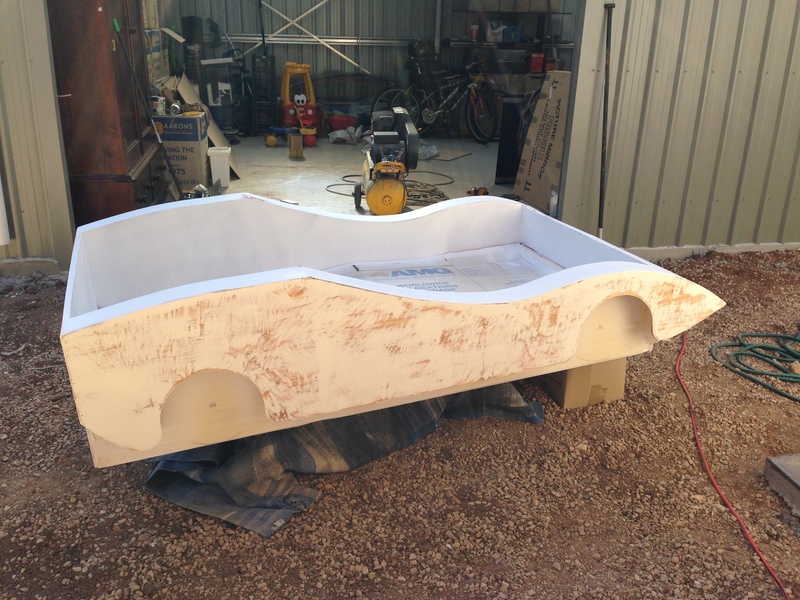 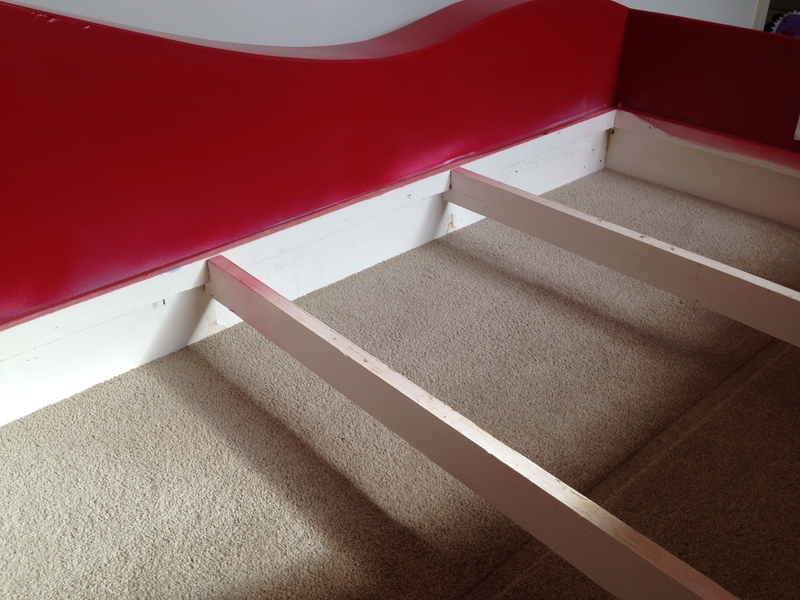 We came across this old beat up race car bed, and I decided to give it a new lease of life. 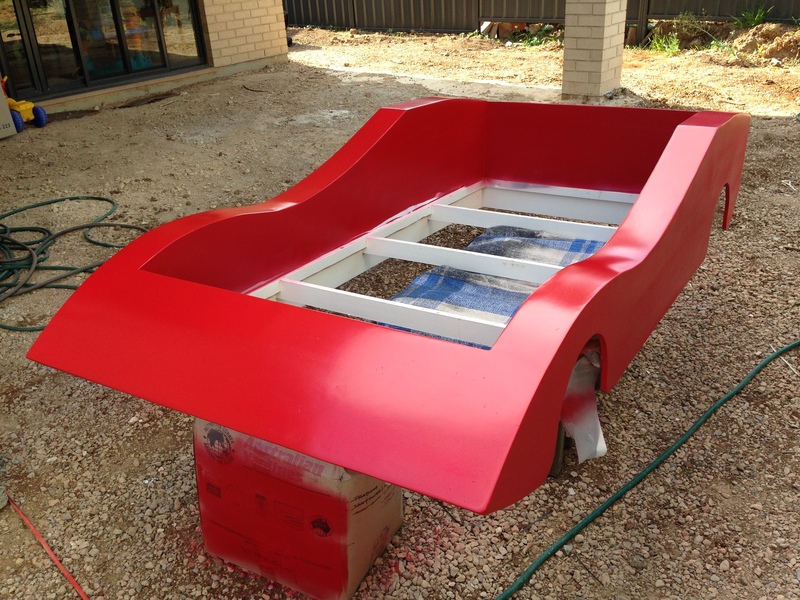 I started by giving it a really good sand back with an orbital sander. 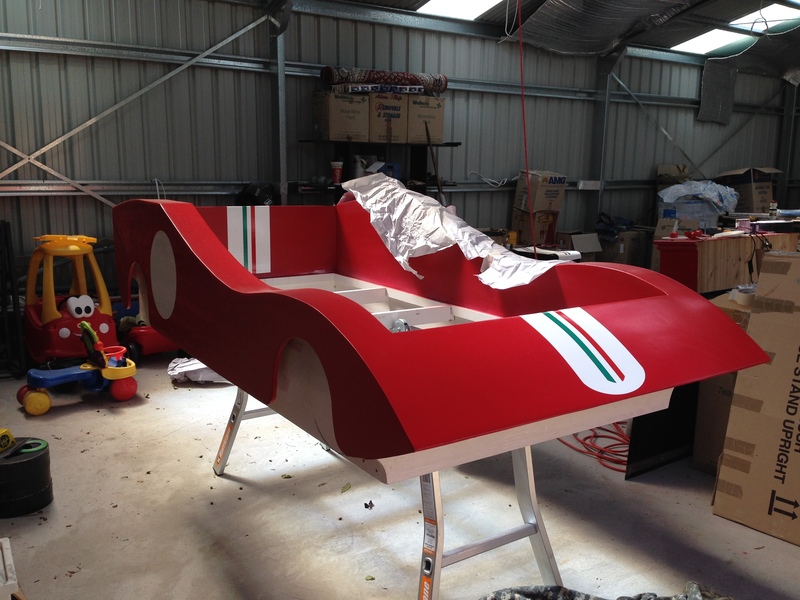 Next was a fresh coat of paint, which I sprayed on, and then a new set of racing stripes. 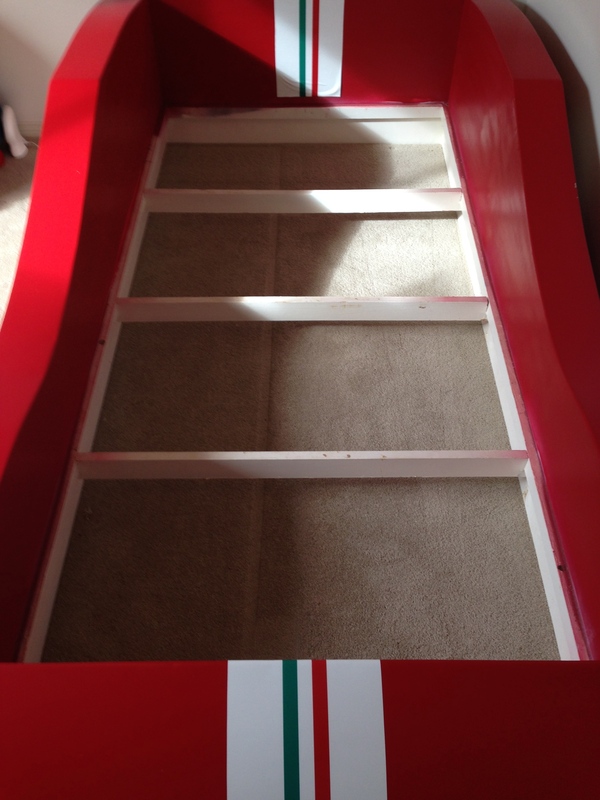 I had these racing stripes made up for my Lamborghini, but as seen in a previous post, I managed to botch up the respray of it, so never bothered to put the stripes on it! 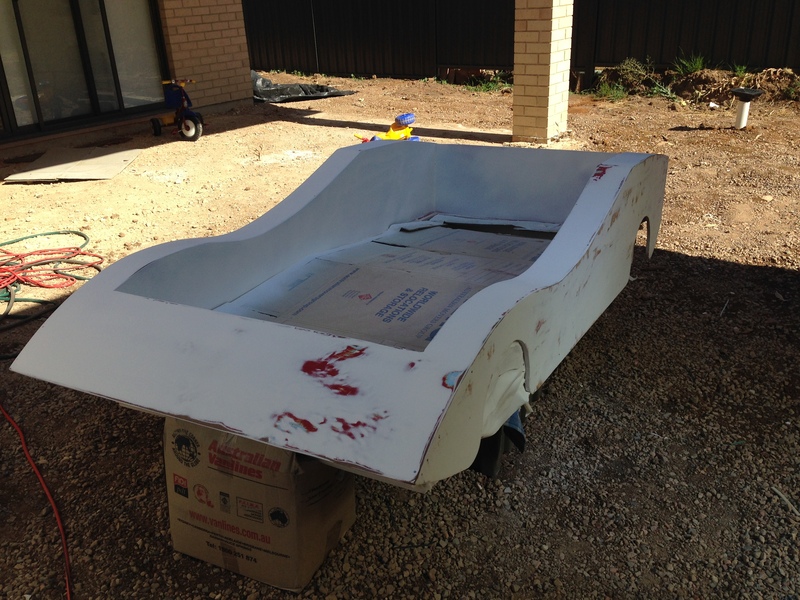 For the bed rebuild, I resprayed the wheels also and fixed a few bits and pieces on the wheel centres etc. 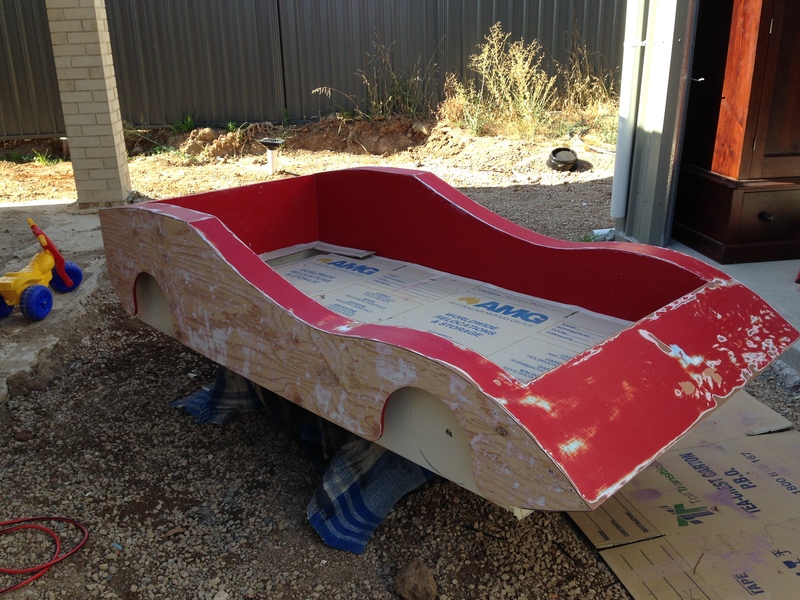 that had broken over the years. 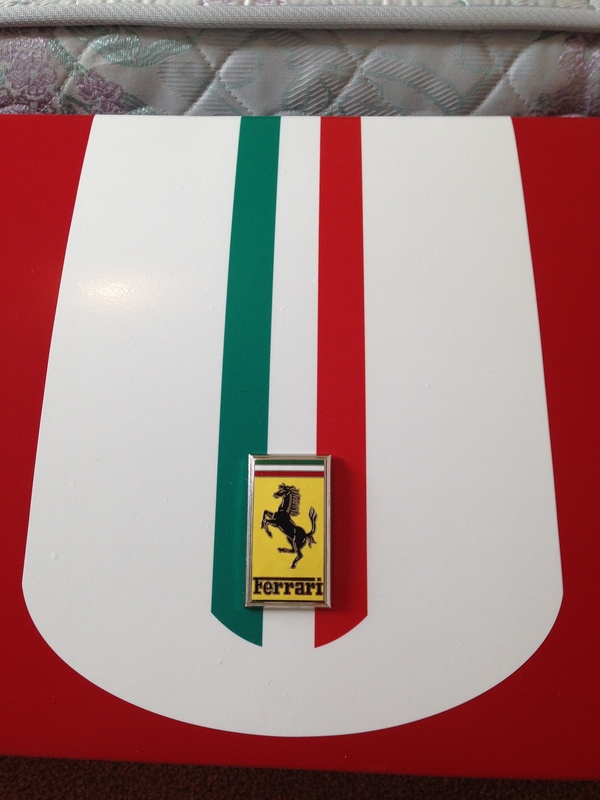 Next came a racing number, and some decals which I got online for a few bucks. 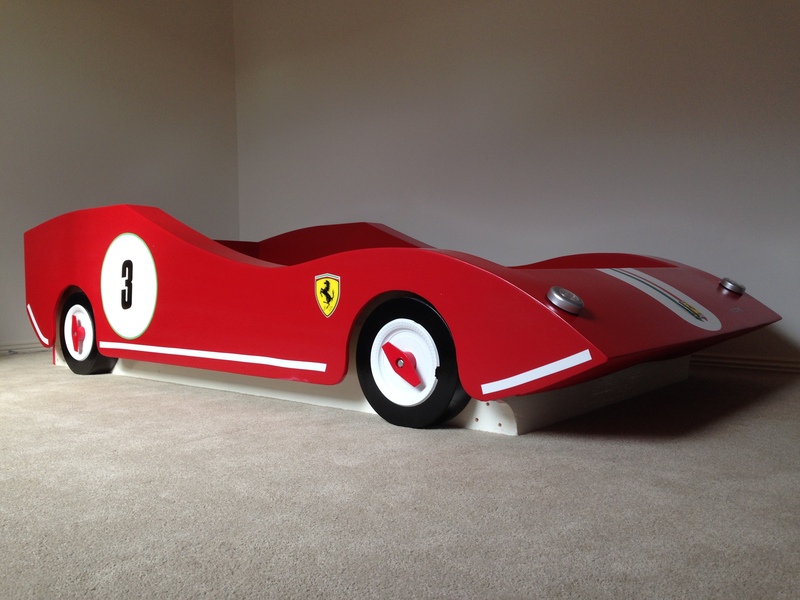 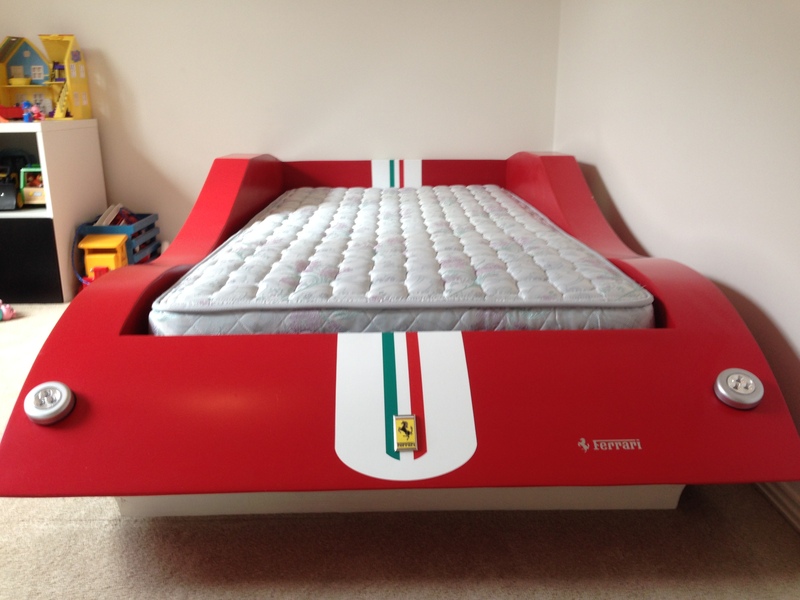 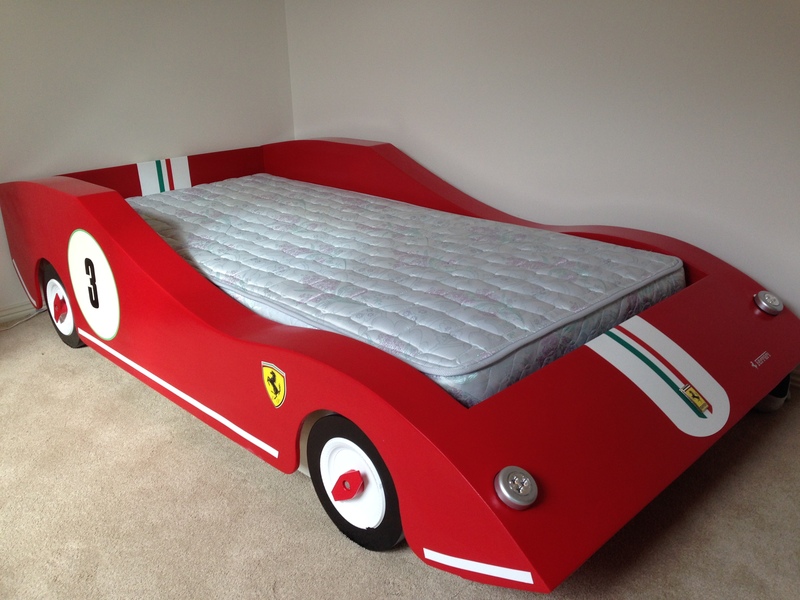 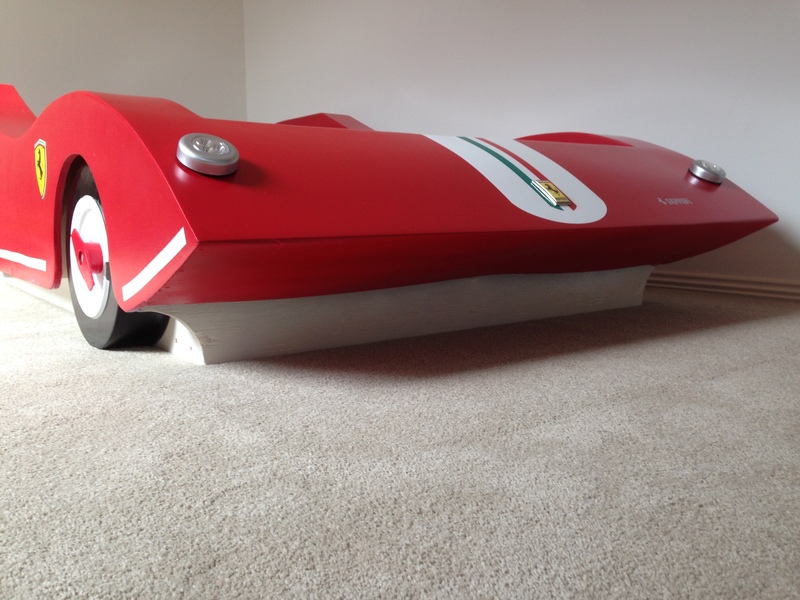 The final touch was a genuine Ferrari badge, which cost four times as much as the bed itself, but I had to have it! 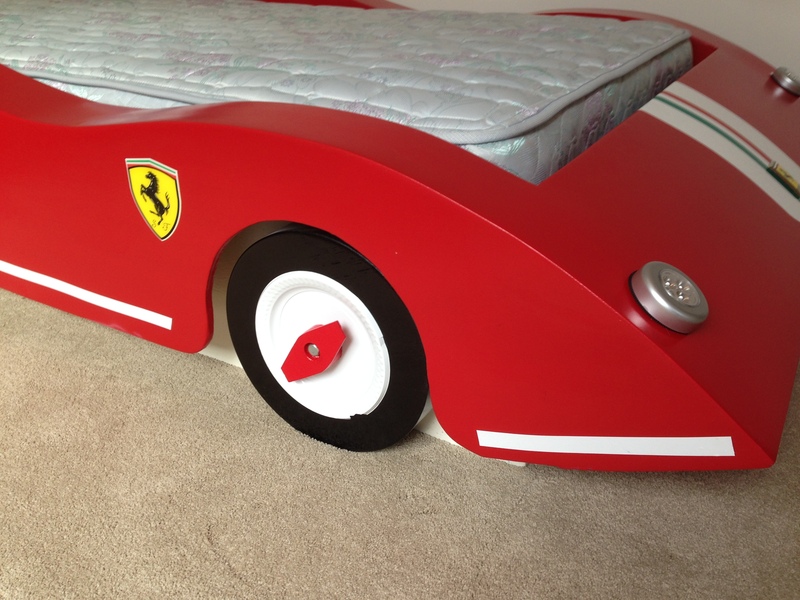 I also glued on a couple of push-activated LED lights as headlights, which the little man can use as night lights.